Over the next few days, I’d like to introduce several members of our excellent advisory board. I’m really delighted to have such a strong mix of business and non-profit leaders, several of which have a deep understanding of the communities we’re trying to serve in Kenya. I’m excited to first introduce Rikka Trangsrud. Rikka is the country director for PATH Kenya. She has lived and worked in Africa since 1991. During this time she has worked with both local and international nongovernmental organizations (NGOs) throughout the East and Southern Africa region carrying out formative research and designing, implementing and evaluating reproductive health policies and programs. Rikka has directed country and regional programs for several international NGOs, including responsibility for day-to-day office operations, fundraising, work planning, budget monitoring, and donor relations. She has managed numerous projects that aim to improve health-seeking behaviors at the community level as well as to improve the quality of service delivery in both private and public sectors. She has extensive experience in producing training and information and education materials, developing programming strategies and guidelines, and conducting situational analyses. 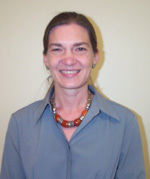 Prior to her international assignments, Rikka worked as a lay clinician and educator in US-based teen clinics. She holds an MA degree from the Humphrey Institute of Public Affairs, University of Minnesota. Welcome aboard, Rikka!